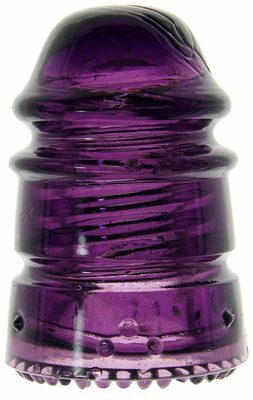 Lot 24: CD 113 "Braille" Color: Royal Purple Description: About 10 chipped drips, otherwise very near mint. See lot 23 for a purple "Braille" with a jadey translucence, and consider how great the pair would look. A beautiful insulator for sure!